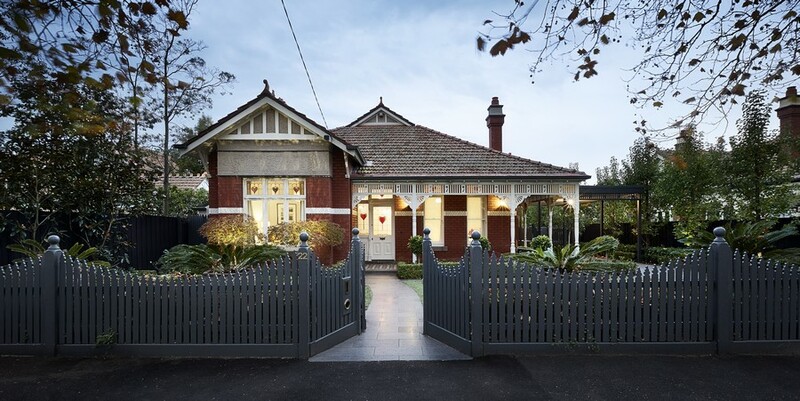 Nestled in the wide leafy streets of Malvern this classic brick Federation house was patiently waiting to be brought up to date with modern family living. 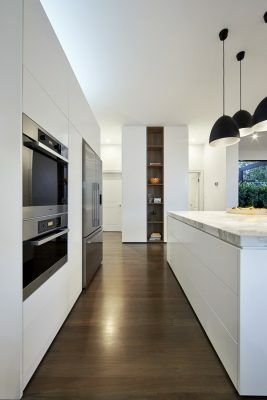 The client’s brief was to enhance open space and add light whilst paying homage to the original era of the home through the choice of classic lines and materials. Taking advantage of the grand Federation proportions LSA designed the new spaces to include elements of height and light whilst including many new amenities. 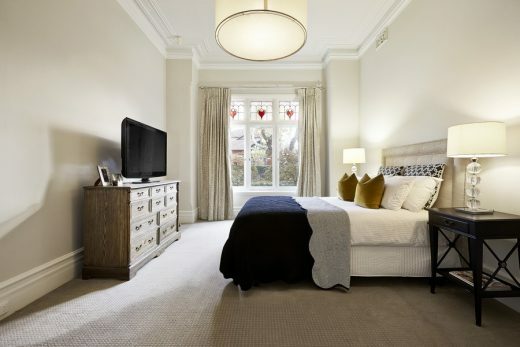 The bedroom and formal living zones benefitted from some floor plan changes to allow for greater flow and the addition of a dressing room and ensuite for the master bedroom. 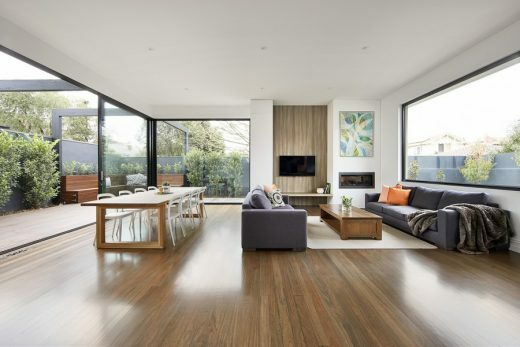 With the majority of the family time planned to be spent in the new rear living room it was important to accommodate for a growing family of five. The kitchen was designed around a large square island bench to allow for many members of the family to congregate. The sight line to the garden from the kitchen was considered by featuring staggered pendant lights over the island bench as opposed to the dining table with the added benefit of a kitchen focal point. 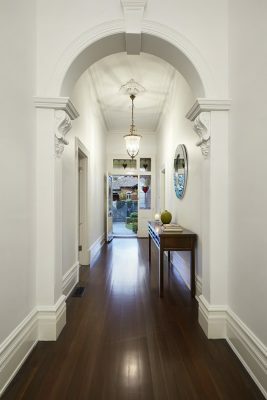 The use of marble and wood panelling reference the original era of the home whilst offering a textural and luxurious element to the large space. 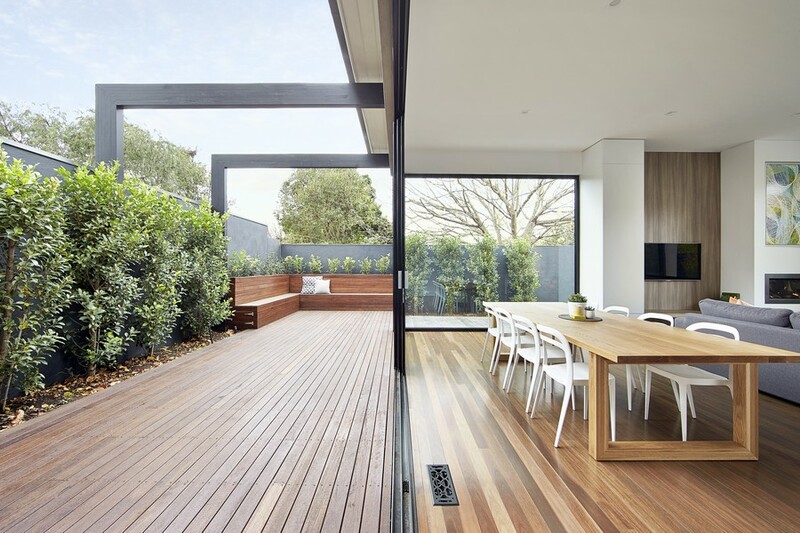 The rear garden was maximised by the merging of indoor and outdoor zones with the use of large glass sliding doors, a discreet threshold and a consistent colour palette. The outdoor space was subtlety demarcated to include practical areas for all members of the family. 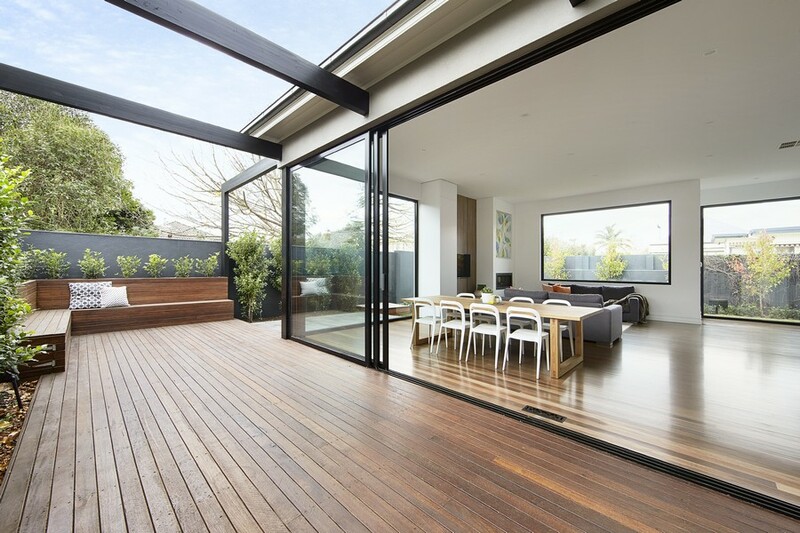 Internal sight lines were again an important consideration for the rear exterior and with the clever use of landscaping and a dark perimeter wall to emphasise depth. Architectural features were also used to enhance balance and privacy. The entire house blends seamlessly to create a harmonious and luxurious home with the emphasis on modern classic design. The most important environmental consideration of the project was to capture the rear northern light and to benefit from passive solar heat gain. Large thermally broken window frames were specified for the sliding doors on the Northern aspect which also provide cross ventilation through the renovated rear living area. 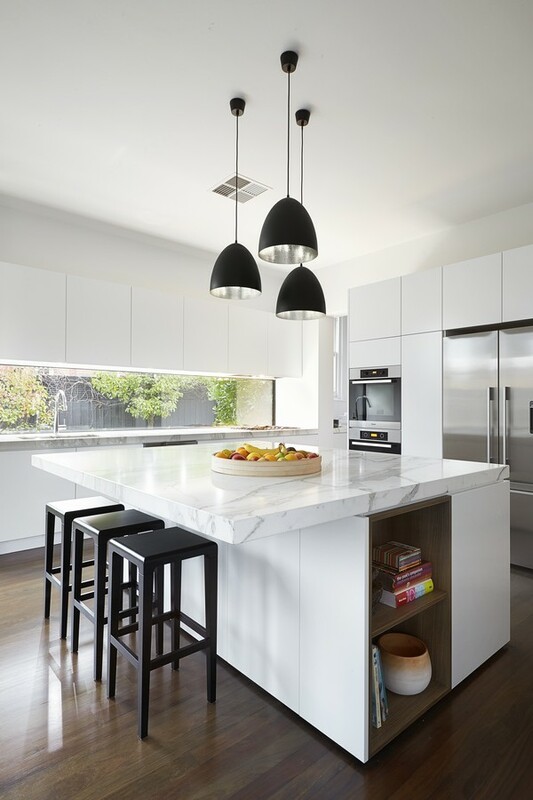 Feature LED lighting was designed to create ambient and energy efficient light sources in the kitchen and living area. Skylights were also retro fitted to the existing hall to reduce reliance on artificial lighting. 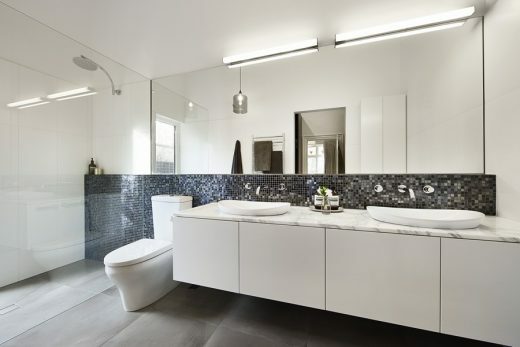 5 star electrical and AAA grade fittings were included throughout the project. 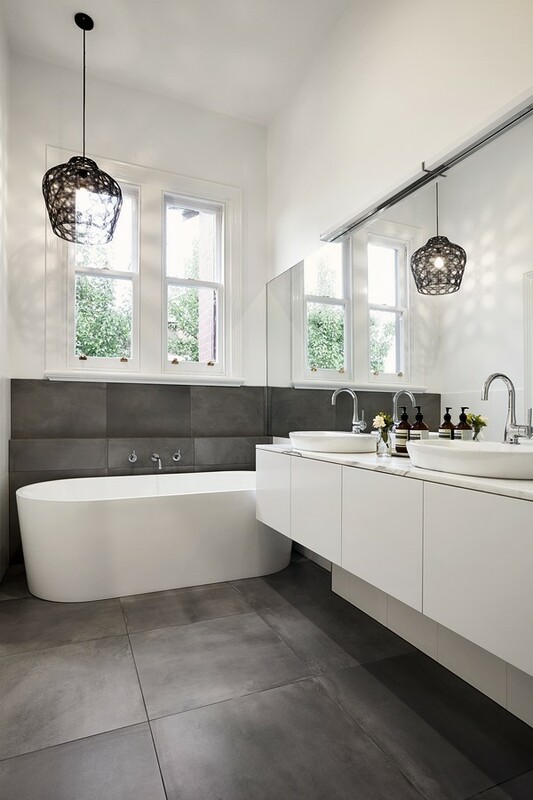 When designing the Malvern East renovation much consideration was also given to working within the original footprint of the property reducing the need for vast amounts of new materials to be added to the project, the floor boards were reused and stained. The reclaimed roof tiles were clad on the new roof structure. 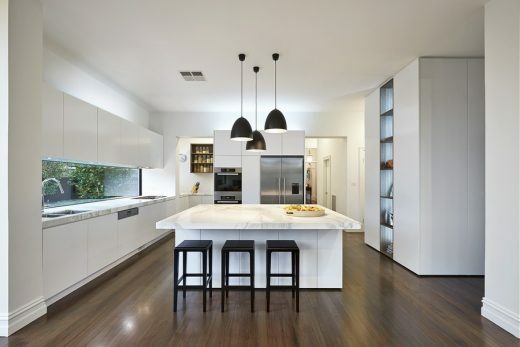 Insulation was installed in the new and the original areas of the home minimizing heat loss.